Phillip Smith General Contractor, LLC is a leading custom home builder throughout Charleston, South Carolina. 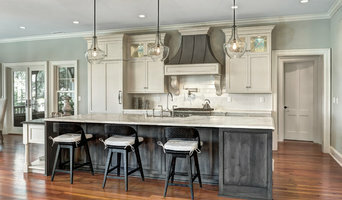 With extensive experience as a waterfront builder, Phillip and his team have gained the reputation for building and remodeling some of the most skillfully crafted and lovely homes throughout the Lowcountry. SLC Architect, LLC is a small architectural practice specializing in custom residential architecture in the South Carolina Low Country. Sabrina grew up in a family construction business, giving her a unique understanding of the building process involved in making an architectural design become reality. She inspires to be an architect that both clients and contractors are excited to collaborate with. SLC Architect strives to exceed expectations at every stage of the design process, and Sabrina puts her entire heart into designing dream homes for her clients that they are proud to own and happy to live in. 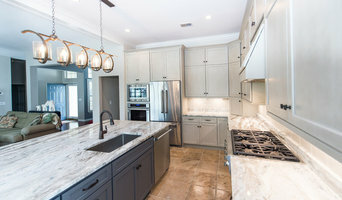 Stono Construction is Charleston's preferred choice for custom home building, major residential remodeling, and additions. Stono Construction LLC offers complete residential construction services, including major renovations and repairs. We do additions and new custom home building too. John Goodwin and Dan Logan, the company's founders, have over 16 years each experience in construction and real estate. Stono Construction LLC is fully licensed, bonded, and insured. Byron Barrow is a North Carolina native and licensed South Carolina contractor. Inspired by quality homes built by his great grandfather, Byron carved out a career as a builder. Over the past 10 years, he has built homes for Centex, Front Door Communities and as a general contractor in Raleigh, Wilmington and Charleston. His experience includes custom homes, remodels to single and multi-family dwellings. Barrow Building Group will work with you to carefully and creatively craft the right home for you and your family. We obsess over the small details that make a big difference in how a home looks and lasts. We involve our clients throughout the building process, from start to finish. Regular construction meetings are scheduled to keep the project moving forward and to keep you informed on all aspects of the build including budgets and timelines. When all is said and done, Barrow Building Group is about building great homes for great people and bringing creativity to each product we touch. We are passionate about what we do and we genuinely care about the people we build homes for. Whether its an addition, renovation, or your dream home, Tom Martin & Son is dedicated to meet your needs with the quality that can only come from years of experience. Our team is personable and honest, we care about your home as if it was our own. 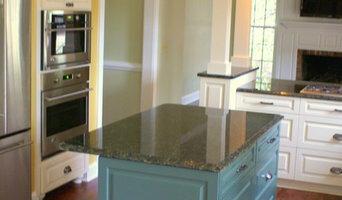 From start to finish, we work with our homeowners through every step of the process for all projects, large and small. We take pride in the fact that we do much of the work ourselves. This allows us to not only to deliver high quality work but to also help our clients stay within their budget. When we do subcontract any portion of a job, we choose carefully in selecting professional and talented craftsmen, and we remain involved in every step of the job to ensure the homeowner's satisfaction. Proudly serving Kiawah and Seabrook Islands and the greater Charleston, SC area since 1987. Rush Dixon Architects is a solutions-based, contemporary architecture and design firm. For us, a clear understanding of what is being designed, built or re-fashioned is a must, so before we ever put pen to paper we take the necessary time to listen and assess. Results-driven, we design strategically and artfully to create winning solutions that bring value to our clients, whether the goal is a more efficient business, a clearer brand, or a more functional, livable custom residence. We believe that modern design is not found solely in the materials, but rather through the pursuit of better spaces for living and doing business. For more than 30 years, the team at Frederick + Frederick has been helping families create one-of-a-kind homes for hot, humid, climates, whether it is new construction, historic preservation, or renovation. We start by listening to your desires. Working together, we create indoor and outdoor spaces that make your daily life more enjoyable. The firm is licensed in North Carolina, South Carolina, Alabama, Florida, Georgia, Texas, Mississippi, and Virginia. Both Jane and Michael are certified by the National Council of Architectural Registration Boards and can easily become licensed in any state.